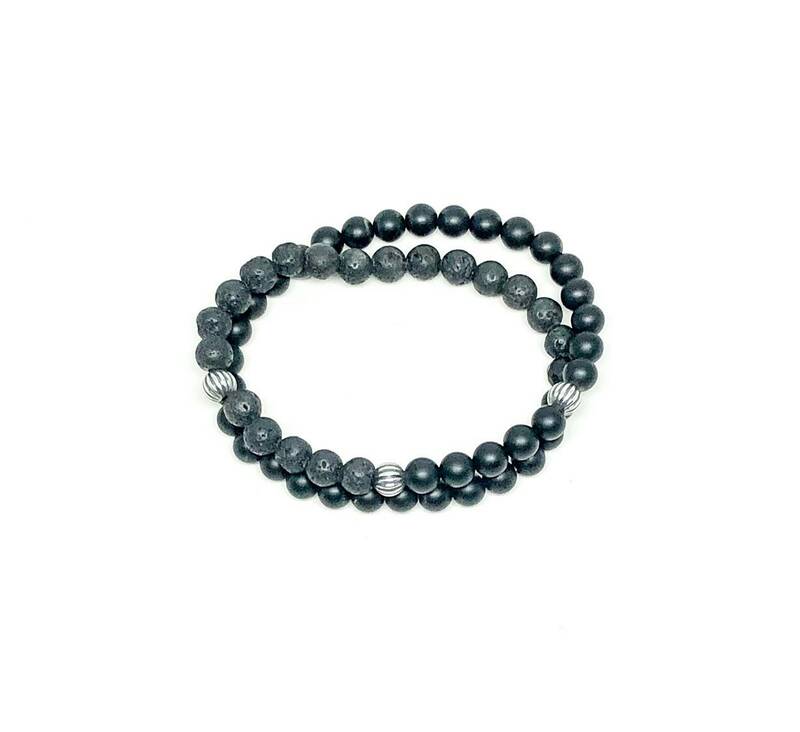 Men's bracelet with Onyx, Lava and 925 Silver beads. 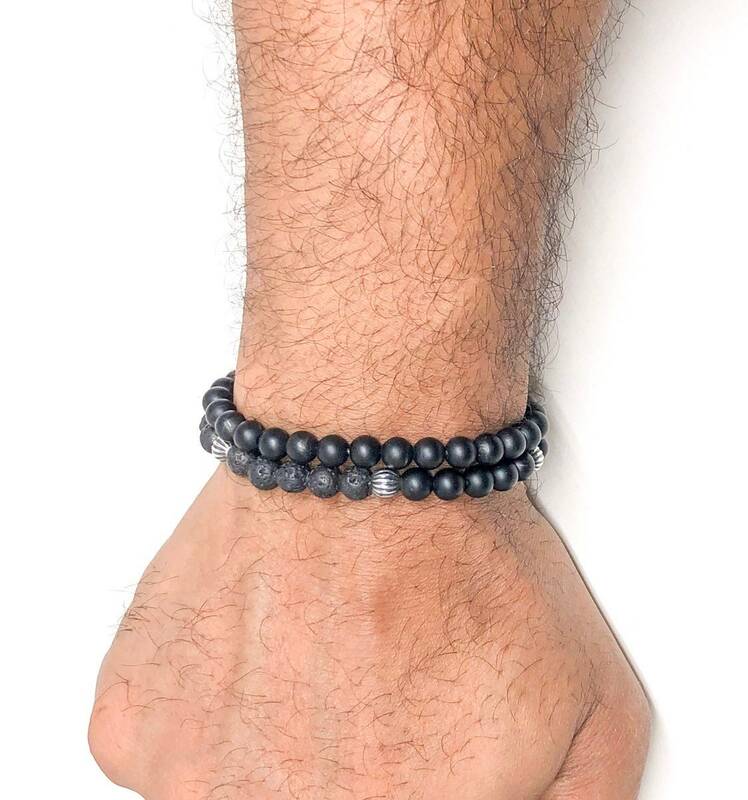 Men’s beaded bracelet made with Lava 6mm, Matte Onyx 6mm and 925 Silver beads 6mm. 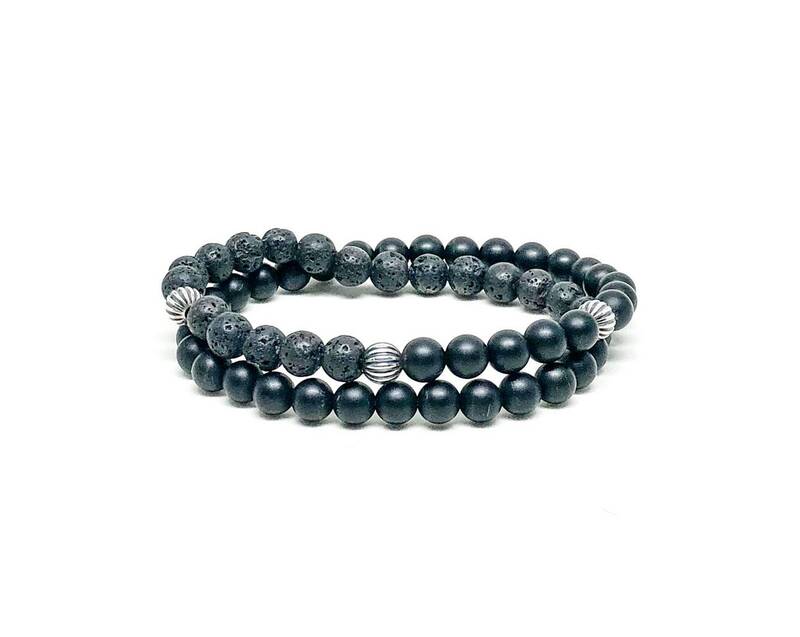 Cool double wrap around black and silver beaded bracelet. 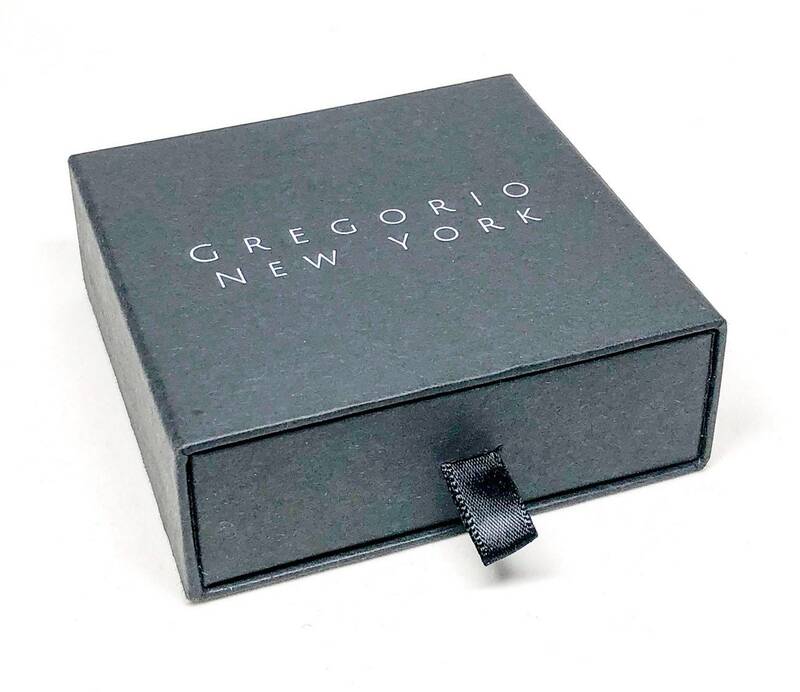 Add it to your outfit for a modern look.